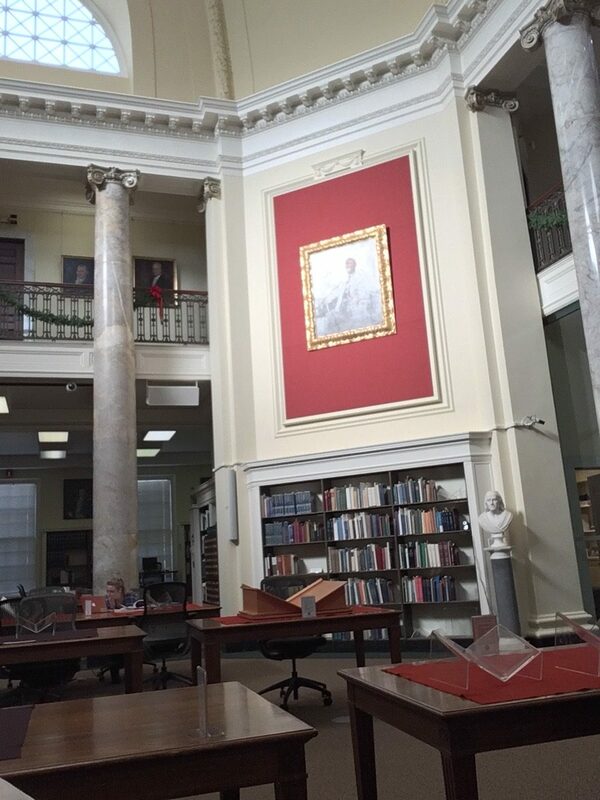 Founded in 1812 by Revolutionary War patriot and printer Isaiah Thomas, the American Antiquarian Society is both a learned society and a major independent research library. The AAS library today houses the largest and most accessible collection of books, pamphlets, broadsides, newspapers, periodicals, music, and graphic arts material printed through 1876 in what is now the United States, as well as manuscripts and a substantial collection of secondary texts. The stacks are closed but they have a real efficient system of requesting materials before you even arrive. You just need to register online for access. I have reviewed the shortlived, newspaper published by the Young Men’s Whig Association of Brattleboro called The Flail. The AAS has a run of three issues, including the last one published. Why was it named The Flail? 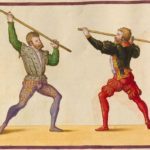 According the Wikipedia entry, a flail was an agricultural implement to separate the wheat from the chaff, and it could also be used as a weapon. I guess both meanings might apply in this particular instance. The Whigs were against the Federal government’s manifest destiny expansionistic policies in the West; against the anti-native American removal policies established by former President Andrew Jackson; they supported Congress over the Executive branch; and were in favor of modernization and banking to further economic progress. Its leaders were Henry Clay, William H Harrison, Daniel Webster, and Horace Greeley. Harrison won in 1840, but was the first US President to die in office after serving only 31 days. The Flail was to be published for four months previous to the November election, and to be issued on Tuesdays at 34 cents per copy. Simon H. Houghton, William [F] Newton, Joseph Prince, Amon I. Warren, Joseph Hale, Jonah Peabody, Abraham Snow, Sim[ei], Whitney, Robert B. Higley, Warren Clark, Edmond Fisher, Luther Ames, Martin Whitney, Zenas Whitney, Russell E. Avery, Calvin Olds, Robison Winchester, Eli Dunklee, Simeon Adams, Jr., Lyman Brown, Jr. The document was sent to printer Joseph Steen on June 30, 1840, and July 6, 1840. 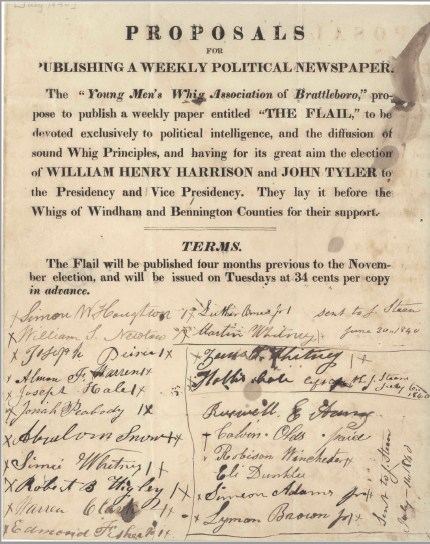 The Flail came out 14 July 1840, and the first issue featured a story on a large convention, which was held in Stratton, Vermont, where delegates of the Whig party members came out. The famous orator and celebrity Whig of the time, Daniel Webster, spoke at that gathering. Before he arrived at the convention, he stopped in Brattleboro where the YMWA members escorted him around town and gave him dinner at the Phoenix House. Called the “Log cabin rally,” the convention drew between 10,000 and 15,000 people to hear Webster, whose crowd size may have competed with an early Phish concert. You can read about the local newspaper accounts at the Vermont Historical Society’s web site.